Situated on the edge of a beautiful nature reserve, Marwood Park Stage 33 provides a perfect setting to enjoy all that Somerfield has to offer. Available across two releases, Marwood Park Stage 33 has a selection of lots available to build your new home, ranging in size from 329m2 to 512m2. 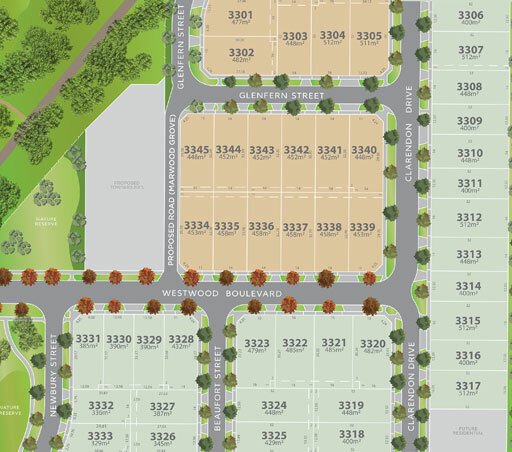 Start planning your new life in Marwood Park today. Call our Sales Office on 1300 719 223. DOWNLOAD THE MARWOOD PARK STAGE 33 BROCHURE HERE.